As we mentioned а few weeks ago about the new Opera Mobile for Android, today the company announced that Opera Mobile 10.1 beta is available in the Android Market for free. The new mobile browser can be set as the default browser and according Opera, boasts faster page loading than other browsers. 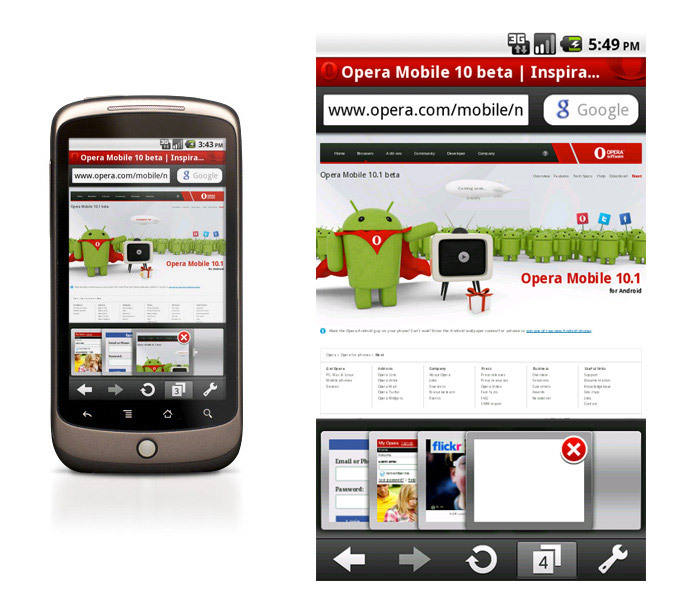 It utilize Opera Presto rendering engine, offers tabbed browsing, supports pinch-zoom functionality, speed dial, download manager can sync your bookmarks across devices with Opera Link, has a password manager and offers better browsing on slow or congested networks with Opera Turbo, which provides up to 80 percent data compression.